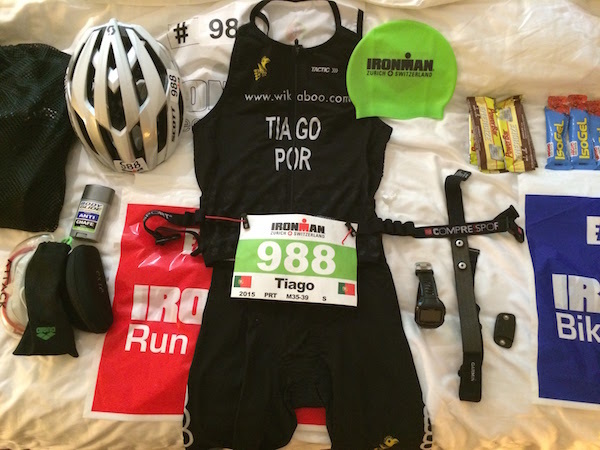 Tiago Costa - Internet entrepreneur, kitesurfer and triathlete (Ironman Finisher). Founder of WayNext - digital agency and other companies. Blogging for myself, this is not the agency voice. Welcome!Tiago Costa | Internet entrepreneur, kitesurfer and triathlete (Ironman Finisher). Founder of WayNext – digital agency and other companies. Blogging for myself, this is not the agency voice. Welcome! Internet entrepreneur, kitesurfer and triathlete (Ironman Finisher). Founder of WayNext – digital agency and other companies. Blogging for myself, this is not the agency voice. Welcome! Last while while attending to one of several talks at Lisbon Web Summit, someone was talking about the change of a scarcity to an abundance mindset. I have been thinking about this for a couple of days now and, while at first it seems a kind of contrarian logic, it really makes much sense. On one hand, it’s about the way you face life – if you keep thinking this is the last chance, the last opportunity, the only something there is, you might start to believe that and disregard that the future might be even brighter and merrier. But, there is more to it because when you think with an abundance mindset you open yourself more to what might come. Also, that abundance, will lead you to share more and from sharing, greater and bigger things can come. Among runners there is recurrent a saying “if you want to go fast, go alone; if you want to go far, go together”, implying that sharing some ordeal will make it more likely to be conquered. Must keep this in my head more often. Today, while counting tiles at the bottom of the pool during swim training, one thing hit me (and it was not another swimmer). It’s about the safety of our personal data and details. When I think about this I mostly think about the ways to keep my data safe, both the data on my computer and on the cloud services I use, but, as more and more data is shared to the cloud automatically there is more to it than meets the eye. The thing is that data sharing that might look like it can not harm you, for example, sharing your training details (the route you took to run or bike, heart rate, pace, etc) within a couple of friends on a sports social network means that you are now dependent on their security measures to keep your data private. If anyone can access your friends accounts because they use an easy to guess password, your security is immediately jeopardised. For example, with a little research anyone can figure out where you live and having access to your training log they can easily tell that you are away from home. Some services even allow for real time training sharing so someone could know exactly where you are at any given moment. Well I guess that this is becoming kind of an habit, even if it is ever less frequent I am, again, writing this on a A320 flying back home from Frankfurt. 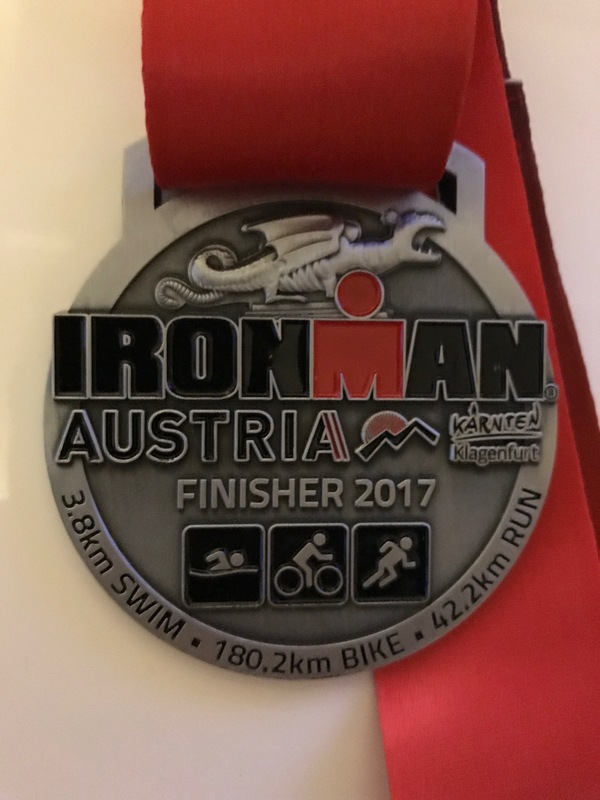 About one year ago, after failing to race Ironman Austria under 10h (yup, the magic sub-10) I immediately signed up for Ironman Frankfurt. Why? Mostly because my brother and a couple of close friends decided to do it and I really enjoyed my first full distance there back in 2014. I enjoy the city and the race venue and the logistics are great flying from Lisbon. So there I was signed up for the race when my better half decided to race a 70.3 and immediately had my full support. Starting around December we both began training for our 2018 races. We did a training camp in Lanzarote Club la Santa (which I really recommend), raced a couple of shorter distance triathlons, dealt with some injury (I was sidelined from running for almost 3 months and had some major back pain during the last preparation weeks), all the mambo jambo that this triathlon lifestyle demands all while running a digital agency at the same time. Since we were both preparing to race we tried to schedule some training sessions together on all three disciplines and she managed to have a great, even if really tough race in Elsinore 70.3. My goal was again to try to finish a full distance under 10h and again I failed. This time I knew that it would only be attainable on a perfect day since the bike course had 185km so 5km more than standard and that was messing all the math (on paper, but mostly on my head) – I must also say that no one understand why the bike course had those additional 5km; the organisation claimed it was because of road works but we there was a village where there were some roundabouts where the distance could easily be cut short. 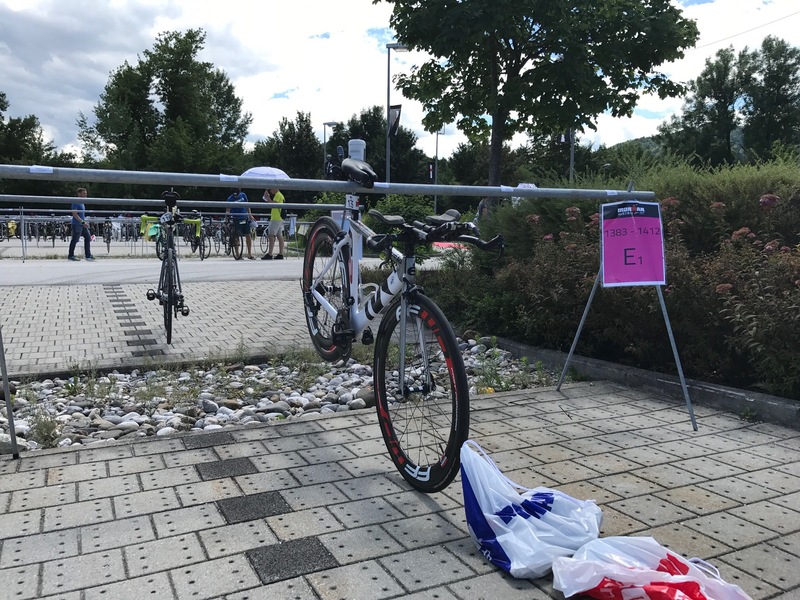 On July 8th it was my time to compete and there I was at the lake, just outside Frankfurt, waiting for my turn on the rolling start for the swim. A little anxious and emotional as is due by such a demanding race I went to the water at the end of the 1hour swim time box, which paid dividends with finding some fast feet to follow during almost half of the swim. Unlike last year race in Klagenfurt, here I felt moving at a nice pace even if in the end I finished with 1h10, which is far from fast. During the swim course there are two stretches where you swim just into the sunlight making it really hard to navigate, the first is just before the australian exit and the second is also just before the swim finish line – so make sure you swim with a nice pair of smoked goggles. Going out on the bike, the first 20km, basically riding from the lake and into the city centre, should be really fast, anywhere between 35/40km/hr but it was a lot slower because we were facing head winds. Anyway I kept going trying to focus on the bike leg and see if I could make myself push the cranks around 200/210 watts average (my coach was expecting around 225) but it was hard to sustain. In the back of my head I was running the numbers and those were not adding up for the sub-10 goal. Without that goal on sight it was really hard to keep pushing the cranks when the legs would start to burn and I finished averaging around 190 watts, a little over 32km/hr and a 5h40 bike leg for 185km. The weather was a little challenging with strong winds and the temperature rising by the hour up to 27C. I also had to stop for maybe 60/90 seconds when a bee entered my helmet and decided to sting me as I was messing with it to make it go away! Finishing the bike I got final confirmation that it was not my sub-10 day and I decided to enjoy the race as much as it is possible to enjoy running 42km in the heat. At T2 and since I had already let go of the goal, I took the chance to change into running shorts and singlet and that was really nice to make a kind of a reset (I really recommend it if you can spare some additional 60 seconds to change clothes). The running venue is nice with 4 laps around the river and with lots of spectators cheering the athletes. I started running a little faster than 5:00/km and managed to average 5:04/km for the distance, therefore racing a 3h33 marathon. Also, another highlight of the marathon was that about 3km to the finish line I found a friend and we managed to push each other to the end, crossing the finish line together! I was of course expecting a faster race, even if not sub-10, at least very close to 10 hours but the thing is that when my head understood that there was no chance of sub-10, it was very hard to keep thrashing the body for so many hours with a clear goal. Anyway we had a blast those days over in Frankfurt, with my closest family, lots of friends (many from our tri Club Wikaboo, including our coach) also competing and a huge support crew it was really amazing! Since nutrition always plays an important role on this kind of training and races, I was confident and at the same time curious to see I my body would make this work since this was my first plant-based Ironman. I haven’t been eating dairy, meat and fish for about 1 year now. It was nice and challenging to discover new ways to fuel my body, specially on those heavy training days when you are out for 5 to 7 hours and need to eat 3.000 or 4.000 calories in one day, from plant sources. On the heavier days to help with recovery I changed from whey protein powders to vegan blends (mostly rice, hemp and pea) and additional BCAA. The protein part is an easy fix between some vegan blends and eating a lot of beans, chickpeas and lentils; my go to carbs are oats, brown rice and pasta, darker grain breads and fruits; then for fats peanut butter and tahini will do the trick. During the race itself things also went pretty well, consuming water, isotonic, salt sticks, clif bars, Sponser and SIS gels! Overall this was not the race I was looking for, but it was what I managed to do. Besides the not so perfect weather on the bike, looking back I think some things also messed with the preparation, mainly racing Half Ironman Lisbon in May in beast mode which let me in a hole for about 3 weeks until I was able to feel good in training (but sometimes you have to dig deep just to see where is the limit). Also I really wanted to help my better half succeed and neglected some rest to be able to join her trainings sessions (but I would do it all over again). 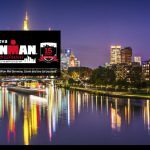 Finishing Ironman Frankfurt I decided not to rush things regarding a new challenge. The first days after the race I was trying to convince myself to change my mindset for the next season to race a harder Ironman course – something with a very challenging bike like Lanzarote, Canadá or Nice would do the trick so that I wouldn’t focus on a personal best. As the days went by I noticed I am not ready to put the sub-10 goal on hold for so long, so next year I will go for it one more time… stay tuned! It’s been a long time since I’ve written on this blog. Again, I’m taking the idle time while flying to write a review of my last sports challenge. I’ve started writing this post flying from Venice back to Lisbon (because that’s the route we took to get to Klagenfurt) but I’m finishing it flying to Frankfurt where we will cheering my brother to the finish line of his second IM race. 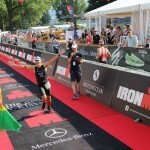 So, back to Ironman Austria, last Sunday, July 2th, I have raced my fourth Ironman distance triathlon. I have been mainly focused on the preparation for this event since the beginning of 2017 and that has included two other major events: Sevilla Maraton in February where I PR’ed with 2h53m (runners will be runners will be runners…) and also the already classic Challenge Lisboa, an half ironman distance triathlon in May. Besides this main races I have entered Évora Granfondo (160km bike ride), spent an amazing week at Clube La Santa in Lanzarote and a couple of days at the sunny Algarve where you find great conditions to practice sports all year round. 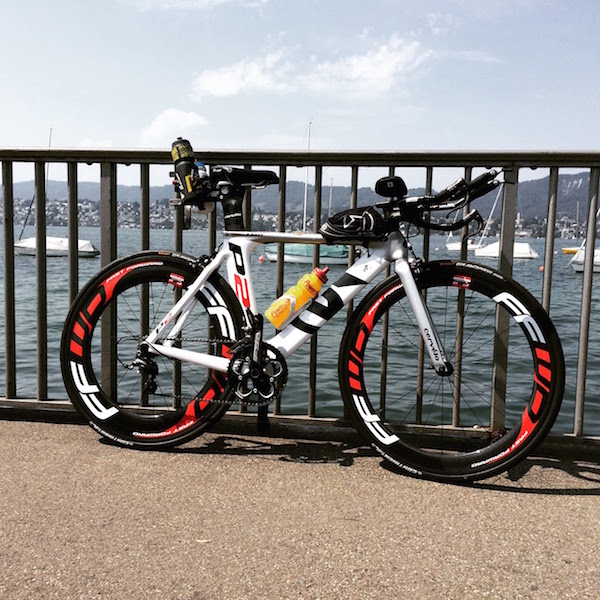 Regarding Ironman Austria, it was without question the race I felt more prepared to do. I have managed to put in many quality training sessions during the last 6 months and mainly during May an June where volume went up while not reducing intensity too much – in fact, I was doing both long sessions and intensity sessions throughout the weeks in all the three sports, plus additional strength and funcional work at the gym (mainly to keep injuries away and increase leg strength). When the season started I decided to focus on the swim. So during winter, when I usually don’t pedal so much, I took the time to improve my swimming skills. I knew before hand that it was a shot that could not hurt but that could also not deliver significantly. Swimming is indeed a very technical sport and one that is not easy to master if you have not practiced it while very young. This is my case and even with the help of some amazing swim coaches it seems like I have not improved so much. Maybe I have dropped my 100’s pace from 1:52 to 1:40/1:38 or even a bit less but that is still not sustainable for longer distances and definitely not for 3.800m Ironman swim. We arrived in Klagenfurt, the mid size town where Ironman Austria takes place, on Thursday before the race after flying in from Lisbon to Venice and then driving up north. Klagenfurt is a relatively small city but it is fairly sophisticated. The people are not so friendly with tourists like one would expect but we enjoyed our time over there anyway. When we arrived no one still knew for sure if it would be a wetsuit legal race since the water had reached more than 24,5C for several days. Anyway, as race day approached the temperature was dropping and we finally could swim with the wetsuit making it a bit more manageable. I had the chance to swim at the Worthsee lake twice only to find myself swimming really slow without the wetsuit. 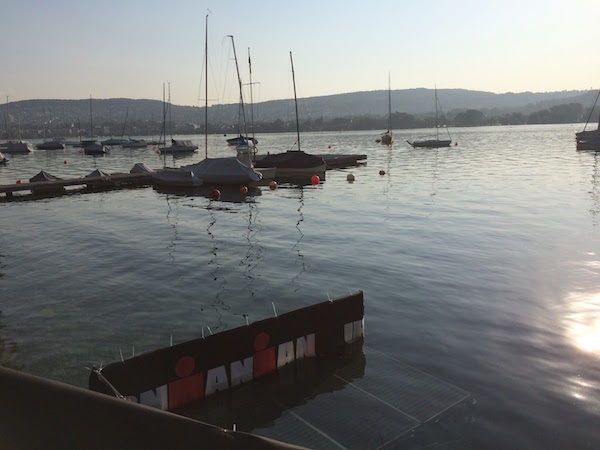 The swim venue is really beautiful and surrounded by mountains, matching lake Zurich where I have raced in 2015, even if the water is not as clear as in Switzerland. – the fact that my wingman (aka Z4) with whom I have done most of the training was absent after being hit by a car while running. On the other hand, like I wrote, I knew I was well prepared and my running sensations where great with the legs wanting to go faster than needed on those shake downs before the race. Also I had the full support of my wife who was always pointing out the good things regarding that race and all the effort I had already put into it that would come to good use. So it’s finally Sunday and breakfast is served at 4am. The place is busy with all athletes eating, each with it’s own very tested recipe. I took a fairly light breakfast including mostly refined carbs, sugars and a bit of protein, all washed down with a decent amount of caffeine, of course. 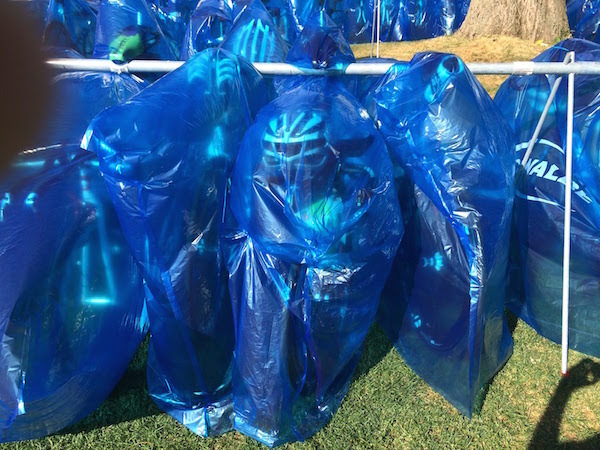 After that we took the transfer bus to the race site and went on with the final preparation of the bike (pumping tires and making sure everything was in order), filling the blue and red bags with everything I would race day weather was perfect with temperatures ranging from 18 to 22C and almost no wind. Next thing I know I was at the start line and placed myself on the 1h/1h10 swim queue meaning that I entered the water at 6.57am on the rolling start. I was able to draft a bit here and there and felt good during the swim (I was looking out for cramps that had plagued some OWS training sessions). The last 800m are specially fast because you enter the canal and the water current, with all the athletes pulling, will also drag you. On the canal things get a bit more physical because it’s about 12m wide meaning less space for everybody. When I finally exited the water I found the swim took about 5/6m more then expected: I had clocked 1h11m. I’m traditionally very slow on transition but it was not the case on this race when you consider the 3 minutes run to reach T1. I was fairly fast at transition and after 7 minutes I was hopping on the bike. As I exited transition, pedaling, the bike was making a funny noise – somehow the back tyre was too close too the frame and it required me to stop and fix it. The first 20km of the bike are by the lake and rolling, a bit uphill, a bit downhill but you just keep rolling. Then as you get further from the lake there are three steeper and longer climbs which is exactly the type of terrain that I don’t perform as well (I can deal better with long rolling stretches and short steep climbs than the 2 to 4% grade longer ones). 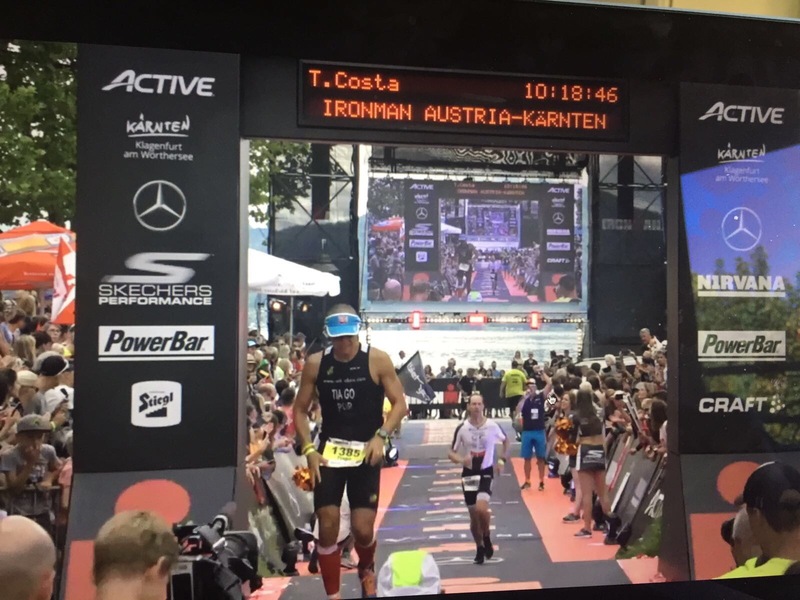 Since I was aiming at racing a sub 10h Ironman, I knew as I exited T1 with about 1h18 race time that it would not be easy to reach my goal and that was the daemon with which I had to deal for the first 30km on the bike. Then I convinced myself to wait and see what the missing 60km of the bike loop would have in store. Meanwhile I kept pacing myself at about 190 watts, drinking water and iso and eating bars to sustain my energy and hydration levels. After completing the first of the two bike loops I knew the chances to reach my target time were really thin. Austria is supposed to be a really fast race but I guess that this is only true if you are a good climber. If you are more into rolling for long stretches then it is not so fast because there it not a lot to roll except for the final 20km of each lap where you go downhill for long periods of time. On this race each lap brings about 850m, of ascent, totaling 1700m for the full 180km. Entering the second bike loop I started looking for another goal and I decided that I should at least aim to renew my personal best (my PR was ser at 10h24 in 2016 IM Copenhagen, on a rolling bike course). When I was at km 150 of the bike with a bike split time of 4h38 I knew that could be achievable and pushed a bit more on the final part of the bike. I also knew that the sub 10h would not be possible because I had zero chance to run a ~3h10 (or 4:30/km) marathon. So in few minutes I found myself at T2, grabbing my running shoes and leaving for 2 laps going from transition then along the lake and then into Klagenfurt downtown. Every Ironman that I raced before consisted of 4×10,5 loops; this is good because you get to see your support crew many times but it is also tough that you are passing the same places again and again. On a 2 lap course you know you just go through each place twice and that is a good motivation. I went off to run pushing really hard. I knew from experience that I needed to push almost to the limit for the first 20/25km otherwise I would risk not to beat my PR since the last 20/15km are always really tough on the Ironman. I was going strong clocking a 4:45/4:50 pace and feeling good overtaking lots of athletes who had raced stronger on the bike. When I finished the first 22km I knew that if I could hold 5:00/km pace until the end I could take my PR down a couple of minutes. Also by that time, even if I had no GI issues like in previous races, I felt a bit dizzy and took some salt sticks. Some km ahead I was feeling some nausea whenever I would drink or take gel but that is to be expected when pushing the limits after so many hours into the race. The real struggle comes after km 32-35 when it seems like each additional km takes forever, everyone is walking the aid stations and lots of people start giving in. I knew I could not afford that and I only did stop to pee at some bushes. As always the final 2km are filled with strong emotions, one one hand I had failed my sub 10h target but on the other hand I managed to PR on the most demanding race course I have raced to date. The finish line is always magic and there was still time to kiss my wife when approaching the magic carpet. And there it was, 10h18m about 6m less than my previous PR. It was finally time to celebrate, rest and recover. And again everything made sense, all the effort during race and training and that huge accomplishment feeling you get from finishing such a grueling event where I felt like my mind was punished just as hard as my muscles. 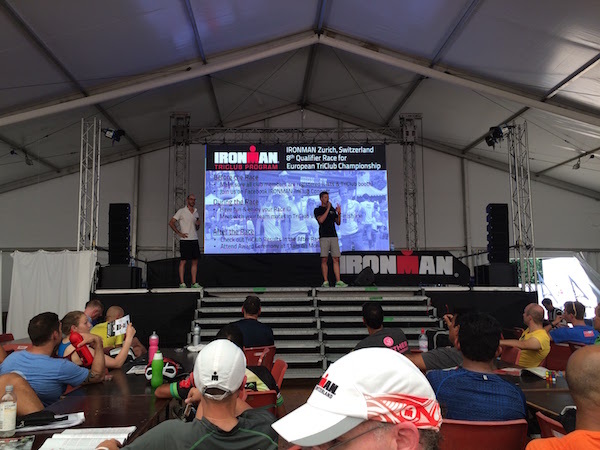 This Ironman races really force you to dig deep within, your mindset goes up and down several times along the journey and you get to know yourself better. It is also a test to your determination, not only during training but also during the race specially when you acknowledge main goal is not achievable anymore. So, wrapping it up, I need to improve my bike climbing skills and choose a bike course with less hills I if want to go sub 10h. I also need to be able to swim faster for longer distances. Nutrition and transitions were OK and the run was as good as I could dream of. And because no one races an Ironman by himself I must thank my wife for the *unconditional support*, day in, day out (❤️), my parents and brother, Z4 (my training buddy, always pushing me to be a better athlete) and my coaches Nuno Barradas / Wikaboo (with his unlimited devotion and patience) and Diogo, Miguel and Maria João (Clube Triatlo de Almada). I am an heavy email user. Mail.app is one of the apps I spend the most time with on my Mac and I just found a very serious bug that might compromise information. Sometimes, I could still not determine a pattern (sorry folks), but it seems to happen when the App is acting slow, you click the Reply All button and the App will open a message editing screen. On this screen you will find the fields To/CC/Subject properly filled, with the detail regarding the message you intended to reply but the Body will contain the content from another random message sitting at your Inbox. So if you are not careful to check the message thread below you can find yourself replying to people in a completely different thread that has nothing to do with them, thus easily exposing information you wouldn’t want to. This is a really nasty bug Apple! This is a very quick post, but I think it can be useful for anyone with the same problem. After properly backing up my Mac using Time Machine I went through with El Capitan / OS X 10.11 upgrade. After a little less than 30 minutes the laptop was up and running again but to my surprise, as soon as I launched Mail.App it started doing some database file migration. That should do the trick and save a little time from messing with messages restore from Time Machine. It’s now three weeks since I completed my second Ironman. This time I chose Zurich basically because when I took the decision it was the only race in Europe still open for registration on the 1st January – yeah, call it a New Years resolution if you want. This time lots of things went down in a very different way form my first Ironman that I raced last year in Frankfurt. To start I found myself a new coach, not because I was unhappy with last years result, since my goal was to finish, and I did, but because I knew I wanted more. Since the Ironman is always so demanding training wise (or should I mean life-wise?) I wanted to make sure I would have the highest possible output (productivity) from each hour dedicated to training. So I started preparing Ironman Zurich that would go down on the 19th July with Nuno Barradas who is the coach for the Wikaboo team. When we started we set the goal to finish under 12 hours, which seemed like a reasonable feat considering last year’s race took me almost 13 hours and 20 minutes. From the beginning I knew I could shave some serious minute on the bike and that could also impact my run because I would get there earlier in the race and thus with more energy. 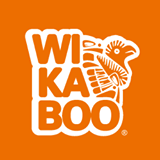 Training with Nuno and the Wikaboos is really something extraordinary. When you combine Nuno’s knowledge, dedication and extensive experience on endurance sports with the group’s energy you can only expect to exceed yourself. It makes a really big difference when you not only put in the training hours but when those hours are of very high quality training meaning the productivity is higher and you start seeing progress from a very early stage in training. This year I trained less hours than the year before but due to the very specific trainings that Nuno planned the output was really superior and impressive. The first test to the new training plan was Rotterdam Marathon where my PB for the distance went down by 6 minutes after about 3,5 months training with Wikaboo. The second test came just 3 weeks after, which for some would be considered the time needed to recover from the marathon, but then at Lisbon Triathlon half-ironman distance another PB came shaving 20 minutes from the previous year. 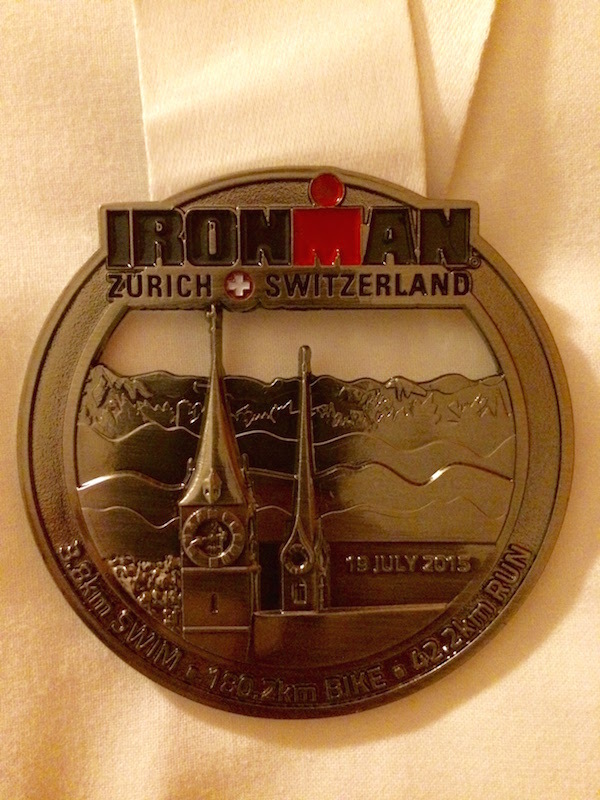 So things were looking quite interesting but we were still halfway to the Ironman in Zurich. The training plan then started to peak around June with several 150+km bike rides and 25+km long run sessions. All was done in a very incremental way and the body seemed to be holding itself together under all the training effort. Besides swimming, cycling and running some 2 or 3 strength/core/functional training sessions per week were also put it. But, the training is not over until it is over and then, exactly 3 weeks before Ironman Zurich, on a monday, I woke up and I can barely walk. I was almost in panic because by then the worst part of the training was behind me and taper was about to begin. There was very little time to recover anything and suddenly the Ironman race seemed like impossible. I was recommend a sports physiotherapist which diagnosed and treated me for a IT band syndrome. It was at its early stage but the damage was nerve wrecking since I had a lot of pain to walk and I wasn’t able to run. The treatment was the infamous EPI meaning a needle is inserted to the muscle pain trigger point then there is electrical stimulation to reset it – let’s just say it hurts like hell. But the good news is that after suffering like never and waiting 24/48 hours upon each treament I was able to run pain free again (on a side note, everytime I left the physiotherapist office I had to literally drag myself to the car due to the pain). With the injury sorted out the taper began and also all the logistics preparation which is always very time consuming. This year I had some gear changes from the previous one. The first and race wise most relevant was that I got myself some really neat Fast Forward carbon clincher wheels which are really faster, especially on flat roads; you can really feel the difference when it comes to gaining and maintaining speed. 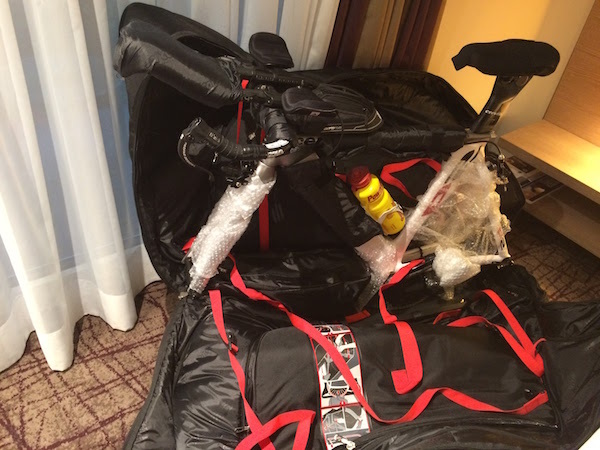 The second was that I traveled with Scicon Aeroconfort bike bag which makes it a bliss to pack your bike even for someone like me who is really not very handy when it comes to disassembling and reassembling the bike. With this bag you only need to remove the wheels and maybe your derailleur if you want to be a bit safer, for the rest you just need to put some padding around the most sensible parts and you’re good to go! 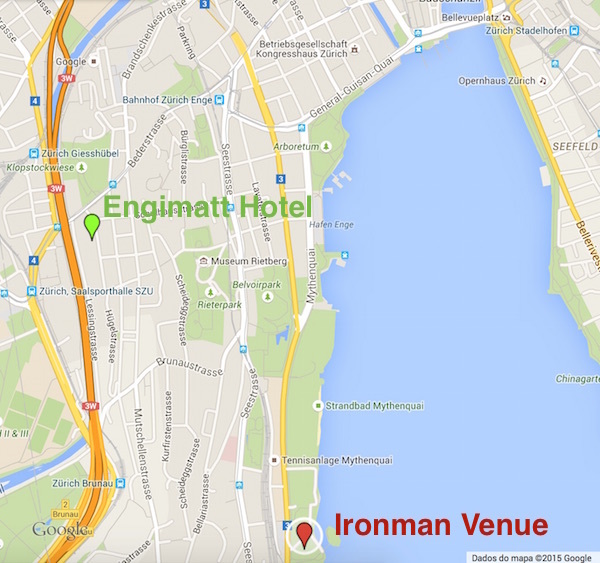 We flied out to Zurich on Thursday before the race and we stayed at the Engimatt hotel. There are not many options if you want to stay near the transition zone that is just next to the lake in Landiwiese. It took us about 20m walking to get from the hotel to the lake and there is one steep hill in the way, but it was near enough to walk there even on race day. The hotel is good but you would expect it to be even a bit better considering the price. When we got to Zurich’s aiport we took the train to the hotel and then pushed the bags, including the bike bag some 20m to the hotel – it would have been faster without the bike bag which is not so easy to carry on stairs. Anyway, the bag is great and easy to transport considering the size and weight of the stuff you are carrying. Arriving at the hotel we went out for dinner and it was not easy to find a place to eat because it was almost 10pm and most restaurants were closed or almost closing, so be careful when trying to have a “late” dinner in Zurich because most places close much earlier than one would expect. The next day we went to the lake and even had a swim there. We also hangout over there for a couple of hours because it’s a really nice place. The water temperature was already high (around 25C) announcing a non wetsuit race which is something most triathletes including this one, don’t like. By the end of the day we did the registration and got the athlete’s kit. Then on Saturday I had a very short stroll downtown and then went back to the hotel to rest. By the end of the day I went for bike check-in and it was almost confirmed we would be swimming without wetsuits. I was a bit worried that I would be cold out there in the water for so long (1h+) but I was never cold during the race. So basically Friday and Saturday I just did some very short and light training, running or cycling for a bit. The cycling part is important to be sure there is no damage to the bike after transport. I also went to the race briefing where the heat was almost unbearable, it was really hot inside the tent on the afternoon. I also ate and drank a lot, making sure to top my reserves for race day. On a separate note I leave a word of caution when traveling to Switzerland because I was expecting it to be expensive, but not as expensive as it really is! Having been on several places in the US and also on the northern rich countries like Denmark or Sweden, I found Switzerland to be much more expensive than any of these. 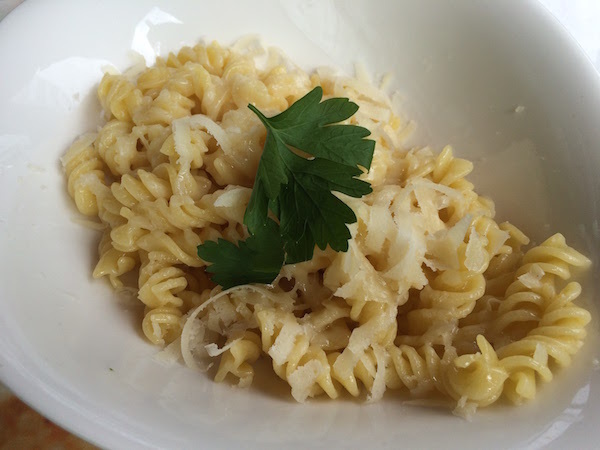 A pasta dinner for two can easily cost 50/60€ and a small bottle of water can set you back 5€; also any tourist stuff like going up the mountain on a cog wheel train will be terribly expensive so it’s not south European tourist friendly place. Then Sunday comes and the alarm clock goes off at 3am. It’s time to jump out of bed and take care of pre race ritual: dressing, eating a huge breakfast (only things I had tried before), checking the last details and walking to the race venue. Getting there you can feel the anxiety in the air – everybody trained hard for so many weeks and now it’s time to put it all in and see where it takes you. As I got to transition I remove my bike cover, pumped the tires, put the nutrition in place (6x Chocolate Powerbar, 2 High5 Isogel and 2 bike bottles, one with Powerbar Iso the other with plain water) and loaded the red and blue bags with everything I would be needing. I triple checked everything before leaving transition and went to meet my awesome support crew, waiting just outside. The silence on the area is amazing, it is unusual to have so many people together with so little noise, but everyone is focused and introspect. At 6.45 the pros hit the water and then there is the start for the age groups. This time the start was according to your expected swim finish time and they were letting got 10 athletes every 5 seconds. I placed myself on the 1h/1h10 box and around 7am I was swimming lake Zurichsee on 25C without wetsuit. The swim was far from perfect, I was slow on the water without the wetsuit, I had lots of people crossing my way and making me stop to let them pass and there were some currents and waves on the water when boats were passing by. Transition was a bit slower than I had imagined considering there was no wetsuit to remove, but it was fairly OK with 6m25s. The non wetsuit swim was already leaving its dent since I was cramping at transition, something that had never happened before. Anyway I didn’t know how bad I was until I hit the reset button on my Garmin as I was mounting the bike and it clocked about 1h27… At that time I immediately understood that it would be really difficult to hit the sub-11h mark but after a couple of minutes I got myself together and started pushing to go as fast as I could and that allowed me to race the first 120k averaging 34,5km/h which was great considering about 700m ascent (mind you that last year I averaged 25km/h on the bike, so this time I felt like flying). Also I knew I had lots of support (local support crew, my brother, the whole family, friends, the Wikaboo gang, etc) all following the race so I could not disappoint! The bike is a two lap course, the first 30km are really flat. After that you start climbing and you get basically 2 fairly steep long climbs (5-8km), of course you will also take advantage of the long descents afterwards. Then at the end of each lap you have a short but very steep hill where everybody is cheering you. For me the first 120k were really fast but then I had to slow down on the last part of the bike, the hills just felt steeper, there was a bit of wind up there and it was also feeling really hot. I finished the bike a bit under 6 hours and was happy with it considering 1400m of ascent on the 2 laps. It was time to start running. I was feeling strong and was trying to finish as much as possible near the 11h mark. I raced the first part of the marathon at a 5 to 5m10/km pace and then dropped up to 5m30 / 5m35 by the end. Even if this strategy is far from ideal I still remembered Frankfurt where being too cautious meant I slowed at the first part of either the bike and the run but then couldn’t push on the last part either because your muscles are sore and your energy levels drop. So I was happy to finish the marathon on a 5m24/km pace which is about 1m/km slower than by PB. Also during the marathon it was where I felt stronger relative to the other athletes. Most of them are bulkier than me, which gives them some advantage on the bike but not on the run, so I could manage to gain 232 positions on the run. Overall I finished at 11h15m50s and even if this was not exactly what I was looking for, considering the injury that slowed the final training just a bit, the non wetsuit race and the heat (we got 30C+ out there on the bike and run course) I was very happy and I am motivated to keep training to get as near to the 10h mark as possible. I knew from the beginning Zurich wasn’t the perfect course for me, since I’m not a strong climber on the bike, but I feel like it was a good preparation for the next race. All in all I was very happy with the result and I know it was only possible due to my better half unconditional support during the long training months, my extended family support and incentive, my coach extensive experience and focus on the athletes goals, my integration on the Wikaboo group (where everyone’s support is beyond extraordinary) and also Miguel, the greatest training buddy for me (hard working, highly motivated, always on time and willing to put in that extra mile – some people think of him as a radical but for me you either go all in or you stay home). This year we have been specially busy. Not only because of sports (another Ironman training in progress) but also because finally the economic activity is picking up here in Portugal, meaning an additional (and very welcome) load at work! This was a marathon I signed up by the beginning of the year after having agreed with the coach that a marathon was due before the Ironman. This was a great opportunity not only because we had the chance to go there with many people from the team but also because we had never been in Holland before so after the race we stayed there for a couple of days. Rotterdam is a somewhat small but very nice city with nice sights and where you feel welcome. This was a special race for me since coach had been planning a PR over there so the pressure was mounting on on the days before the race. I managed to had a little taper even if the IM training didn’t stop. The race course is very flat and the sights are good. It is also a 10k+ runners marathon which is an additional plus. Overall it was a good day, maybe a little windy but the temperature was right and there was no rain. Without any previous arrangement I managed to start with another Wikaboo and a dear friend with whom I have raced my first IM and he kept pulling us forward up to km 30. We were going at 4m30/km which is quite fast for me considering a 42k race. I was afraid the hammer would drop anywhere near km 30, but I was happy to see that didn’t happen. From km 30 to the end it was my time to pull and boy we did finish running below 4m/km. On km 38, out of nowhere, there was our coach; as he saw us he looked to his watch and shouted “forget your watches, it’s time to go all out and you’ll finish with 3h10”. That was a huge trigger but also an enormous pressure when your legs are already crying and begging you to stop. But so we did, pushed all out, to the best of our ability and finished sprinting to the end to clock a PR with 3h09m57s, for which we were both very grateful. And I’m grateful for this dear friend because I’m pretty sure that I would not have pushed so much on the first 30k since I’m always a bit conservative, but the reward was worth it! Also my better half managed to find a bib (after lots of tries 😉 to the 1/4 Rotterdam Marathon where she also finished with a very good total time! And still could cheer me at the finish line! This is my favorite triathlon race in Portugal. It’s probably the biggest one and most of the triathletes I know are there which makes it a lot of fun. This year it was very very special because I had my brother on his first half ironman distance triathlon, my sister-in-law racing the Olympic+ distance and also :-))) my better half!!! 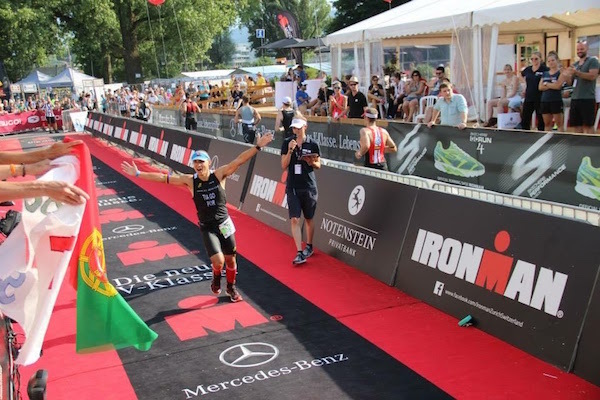 I think they were all inspired by the Ironman last year in Frankfurt and they started their own road at triathlon with little to none previous experience – the Ironman slogan “anything is possible” at its best! But, there is more, a couple of friends with no link to triathlon were also racing, one girl friend on the Olympic+ and a male team racing the relay event! It was a very stressful day because I tried to support every one of them to the best of my ability, which is not easy when there are so many friends racing and I myself was also going to compete. In the end everyone was happy finishing their first triathlon races and a few of them have already signed up for others races meaning they have enjoyed the experience! It seems like this year I’m beating my PR’s and making my goals by just a few seconds everytime! It’s worth to say that coach designed the perfect strategy for the race, which means he already knows how I think. He said to go all out on the bike (aiming at 33.6-34km/hr average) because we needed to see what I could do and then start running at 4m35 and go as I would feel. I must confess that I’m used to being on the conservative side comparing to what I can do on training and that while I was pushing on the bike I was not sure I would my legs perform when the time to run would come. Anyway, just as I have learned before, you take you segment at a time, swim, bike and run, so I focused on doing the best possible bike segment and then we would deal with it. When I left T2 I was happy to be able to push to 4m35/km (again coach was right…) and even a little faster. After 10k I was struggling to keep the pace but I managed to do so up to km 16/17 where it dropped 5-10 seconds/km but I could still finish strong and beat my PR. One other thing I’ve learned is how much some nice wheels can make a difference. And here I must thank again another dear friend from whom I borrowed a nice HED carbon wheel, and boy it seems like you have a little engine pushing you forward. As you cycle to 30-34km/hr the bike just seems to keep going without so much effort. I would never thought it would be possible for me to cycle 90km in 2h37 – I was thrilled with it! This post is not finished without a super special mention to my better half who was never a sports person but has been very committed to training to the best of her ability and finished her Olympic+ race with a nice smile on her face. It’s impressive to think that she had never swam or cycled before, yet from the day she signed up she took it very serious and she made it. You rock, girl. When you run an business like an agency (and this is not agency exclusive, I can relate to any kind of consulting services) you have one great challenge at managing your business pipeline. You need to have enough work to feed the system making it run smoothly and allowing all fixed costs to be covered (and making a profit) but you also can’t have too much work or you will have to find additional resources to deal with it (overwork, outsourcing, freelancers etc). Anyway, the point of this post is to write about how difficult this can be when you have Client’s who claim they need a project done in a very short timeframe (and for which you will block resources) and then the projects simply stall or move very very slowly and there’s basically very little you can do about it. It happens all the time so the solution is either to have some internal projects that are not critical so that they can be worked on whenever there is some free slots or you need to have some other projects on a flexible scheduling that you can use to fill in the blanks. To be fair I must add that both the bike and run course were a little shorter (about 5km on the bike and 1km on the run) and also there were only about 100 triathletes, so coming in at 33 overall is not an overwhelming result. Then in early November I ran Porto’s Marathon which took me almost 5 hours to complete, since I was out there just to have some fun with my brother’s first marathon (congrats!) and also a couple of good friends, also running the 42km for the first time. It was a very nice day until the final 3km when the pouring rain started. It was like hell broke loose but, it was truly epic to take my brother around the last km under such an inclement rain. Definitely something we should never forget.